First, there was the increase in the fee to be paid by the applicant. For the new comers, the exam, then followed by the practical test. Thereafter, the wait and finally, the license. A layer was added later before the final issuance—the medical test. And then from a cardboard type to the plastic laminated one. The change keeps on happening until the renewal period becomes a 3-year affair. Through LTO, government can devise ways to source out funds. It has integrated into the system additional charges like road users and other related fees, this on top of the required medical testing and recently the drug testing (sic). This entail additional burden for the applicant but he is a captive subject and has no choice, unless he wanted to be at the tail end of an accident even if he is a victim. How about increasing the ante further. Why not increase the period for renewal, instead of the regular 3 year as baseline, to increase it further yearly with of course added cost like P500 for every year applied for. Hence, the applicant pays P5K more if he wanted his license to be renewed after ten years. Government through LTO will accumulate instant fund in the process. And there are a number of applicants willing to shell out so much if only to deviate from the usual trek which is marked with inconvenience and hassles. Assuming that we have a million drivers who would apply for the extended 10 year plan, at P500, that would surely mean half a billion peso already. Let us forget about corruption for a while. The added fund can already finance a lot of motorist related programs that could ease traffic condition, promote road safety and additional projects intended for pedestrian and driver welfare. My driver’s license has been deemed dormant. I have not renewed it for more than two years and so when I went to an LTO office and sought its services, I was promptly asked to proceed to a window where my license would be verified. Thereafter, I was sent to another window to fill up forms. Accordingly, I must start from the beginning. That is, I will have to undergo what first timers are required to. I must attend a 2 hour seminar, a 30-minute written exam and then an hour of practical test. The LTO unit (Tagum City) where I applied for a driver’s license is properly administered. It is orderly, the procedures simple and smoothly moving. The personnel are also very courteous. 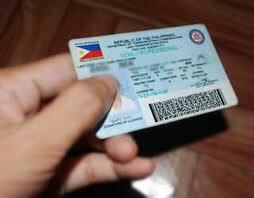 As a government official, I thought that LTO has become a model worth emulating. There is however one area which is very intriguing. The written exam I took, although it is a 60-question affair, is something an above average person will have to hurdle. I am with a group presumably coming the ranks of tricycle drivers and I just could not convince myself that they breezed through the written test. I may have suffered a decline in my IQ because I had a hard time answering the test or those who took it along with me must have been wizards. Most of them even completed the test way ahead of me. And to think that these shabby, harassed looking paisanos would probably cringe at the discipline I underwent—two masteral degrees at UP and PWU, two advanced training abroad in Japan and Australia, a special course in a war college, Bachelor’s of Law and candidacy in Doctorate in Ateneo. And at the end of the exercise, we ALL passed the test with flying colors! I was brimming with satisfaction after I got my brand new license. The same can be said also among those who were with me in the exam room. When I got into my car, my staff, who accompanied me whispered that had I failed the exam, there are people milling in the area willing to fix and supply the answer for P3,700.00! I almost run through an electric post! Posted on June 29, 2013, in Uncategorized and tagged courteous personnel, Driver's License process, Government service, LTO a model agency. Bookmark the permalink. 1 Comment. time offense will generally be given a sentence which is more lenient that than that of the repeat offender. Once revoked, the POA can no longer be used for any purpose. in light of current law.